The Lady Bulldog soccer team kicked off its 2015 season Friday and Saturday at the Alien City Invitational in Roswell, going 1-2 against a quality string of competition. And while coming up short of fifth place in penalty kicks is a frustrating end to a tournament for any team, head coach Tim Trentham was pleased with the way his youthful athletes consistently fought – a sign of positive things to come. The Artesia girls came up a goal short of Valencia in their opener Friday afternoon, 3-2, battling back from a 3-0 deficit at the half with goals from Raina Wesson and Rebecca Gutierrez. 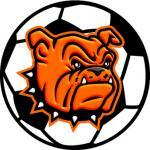 Saturday morning, the Lady ‘Dogs posted a decisive victory over Portales, 6-1, with Elisa Cardenas contributing a pair of goals to help see Artesia to the consolation final. There, they headed into overtime tied 1-all with Silver City. Neither squad was able to break the deadlock in two 10-minute, sudden-death sessions, forcing penalty kicks, where the Lady Colts prevailed for a 2-1 final. “Even though we came out of the tournament 1-2, our first loss was only by a goal and the second in PKs,” said Trentham. “Our win was by five, so as far as goal differential, we’re looking pretty good. We can score. We just have to finish in the games that are close, and we’ll get to that point. The Lady ‘Dogs will host their home opener Thursday at 5 p.m. against Ruidoso at the Mack Chase Athletic Complex, and Trentham hopes to see his team continue to build on the lessons learned this weekend.